Of course it isn’t winter yet by the calendar. 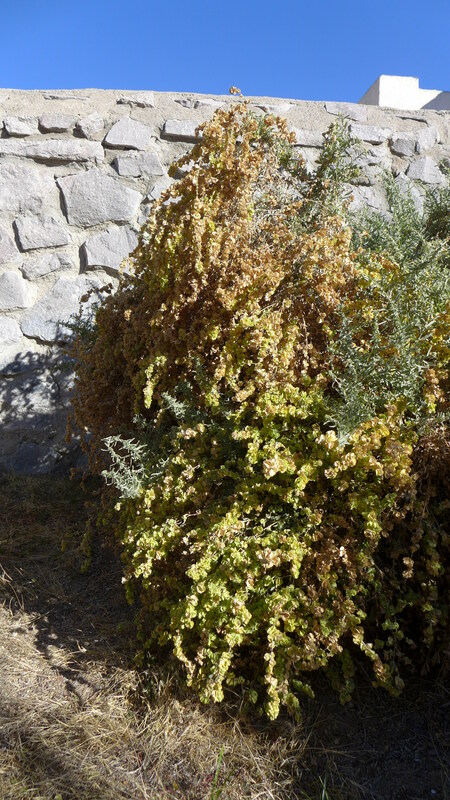 But many plants are reacting to recent freezes and changing their colors. 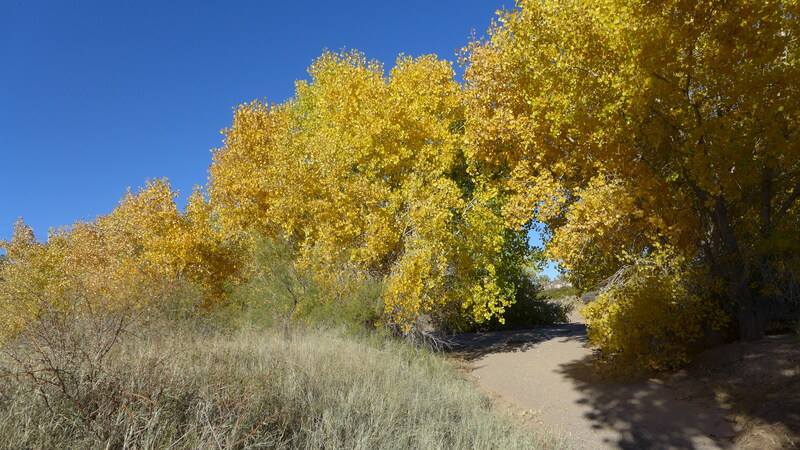 Cottonwoods in the arroyo are all golden, but haven’t yet dropped their leaves. 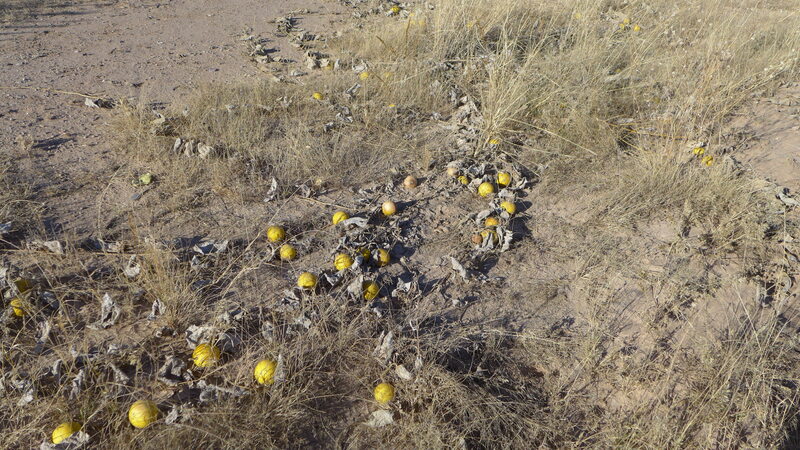 The leaves of the buffalo gourd vine, on the other hand, have all frozen, leaving the gourds to show their stuff. In my back yard the four-wing saltbush is covered with ochre seed pods. 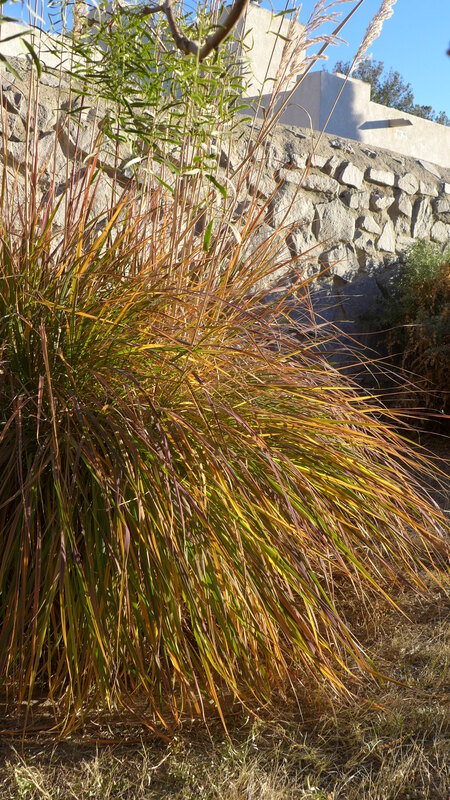 And the tall grass plant is turning leaf by leaf from green through red to yellow to brown. There’s an extra glow in the morning sun which I haven’t found a way to catch in the camera. I haven’t caught it in words either, though I admire it from my desk every morning.